Increasing products sales is the ultimate goal for every retail store owner or business enterprise. However, excellent customer service also plays an essential role in improving your overall sales. 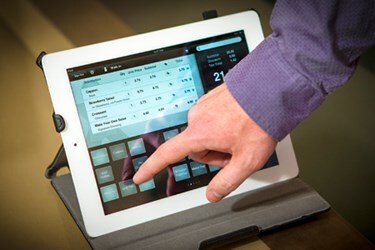 Today, almost every business works hard to enhance sales and POS has been a vital tool in the whole process. Customers expect quality service once they get into your store to shop. Quality service creates loyalty, and your sales will automatically increase. Remember customers also serve as your business promoters. A happy customer will always refer his/her friends to your retail store. Point for Sale systems also will improve your customer service. The moment you install a POS system in your retail store, it will save you the time you spend on paperwork, scheduling employees, accounting and inventories among other essential functions in your business. That means, you will have more time to focus on satisfying your customers. A reliable POS system will make your business more efficient and your customers will be more than glad to shop in your store. What you stock is what brings customers in your store. POS systems will provide you with essential data that will tell you what to stock and when. The Point of Sale software will notify you when the stock is running out and also show you the products that the majority of your customers purchase. Making the most selling products available on your shelves will automatically improve your sales. Payment methods is a major factor to consider when choosing the right POS system for your business. Majority of the POS software today can process different payment methods ranging from, Visa cards, MasterCard, or mobile payments like android pay and Apple pay among others. Customers tend to shop where they can pay using their favorite payment method. That means, you will be able to tap in many customers with various payment options. Having different business sales receipts options is a unique way to enhance your customer service. With a proper POS system, you can even request your customers to provide you with their email addresses and be sending the sales receipts on their emails. This also can work as a fantastic marketing strategy. A good POS software can provide your customers with a properly designed and well-detailed receipts that will please them. This feature will eventually improve your customer’s experience and sales too. Customers can easily get irritated when they are forced to wait on the long quest just to buy products from your store. A reliable POS software will minimize the time your customers spend at the cashier waiting to make payments. The system also will reduce incidences of human error that can lead to losses. Install a POS system with a barcode scanning feature to increase the speed of transactions and efficiency as well. Customers will always shop where they will be served within the shortest time possible. The POS systems have been of great help to retailers more so in saving time and allowing them to focus on dealing with the customers. A proper POS system will help in answering customer’s questions or chatting with them online before they get in touch with the customer help desk. This is common in e-commerce where the systems respond to customers chats immediately. Immediate feedback makes customers feel valued, by your business, thus creating loyalty. Eventually the customers will keep coming to your stores. The best way to keep your customers loyal to your business is creating a loyalty program. The Point of Sale software offers the best loyalty management feature by awarding customers with loyalty points once they shop at your store. Your customers can redeem the loyalty points and use them to shop for more products from your store. This program will make many customers loyal to your business and they will always come back. Your sales will eventually improve, and they are likely to refer more customers to your retail store. Point of Sale software can be designed in a way that it will enable your customers to share their experiences and rate your business after shopping. The negative feedback will make it easy for you to spot the areas to improve. On the other hand, positive feedback will show you the business strengths and where to keep up. This will build confidence in your new and existing customers. Including gift cards sales and redemption in your POS system is also another way of pleasing your customers and increasing sales. Your customers will use the gift cards redemptions to buy goods from your store and change their shopping experience. Customers will always love shopping at your store when you have a proper POS system to manage the gift cards. You also can install capture devices feature on your POS system which will make it easy to update all your customers on the latest promotions at your store. Marketing is vital when you want to improve your sales. You also can update your customers about the new products or services at your retail shop. This will make your customers aware of your products and what’s new at your store. Having the best POS system at your retail shop is the best decision you can make toward improving your sales and customer experience. Go for a software that will help you improve sales and make more profits. For more information, read this review.